Фотобанк РОСФОТО - микросток. 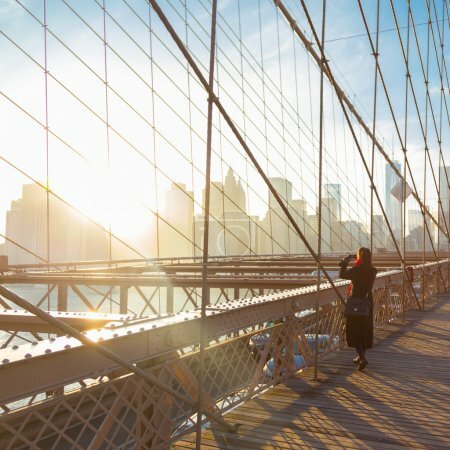 Лицензионные Фото, Видео, Музыка - Brooklyn bridge at sunset, New York City. Brooklyn bridge at sunset, New York City. Woman taking a photo from Brooklyn bridge. New York City Manhattan downtown skyline in sunset with skyscrapers illuminated over East River panorama as seen from Brooklyn bridge.